David Byle, 44, takes to Istanbul’s streets for one last time. A Canadian-American street evangelist left Istanbul on Saturday (Dec. 14) after Turkey’s Ministry of Interior repeatedly denied him a residence permit with no explanation. 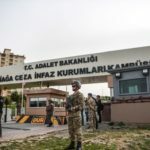 David Byle, Chairman of the Bible Correspondence Course (BCC), has opened a court case against Turkey’s Ministry of Interior in an effort to remove his name from the country’s blacklist. 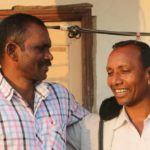 In the last three years, Byle, 44, has been arrested, taken to court, been denied entry to the country and threatened with deportation. He has also spent time in prison. But the final straw for him has been in the last two years when he has repeatedly been denied a residence permit without any explanation. (He has lived in Turkey since 1999). 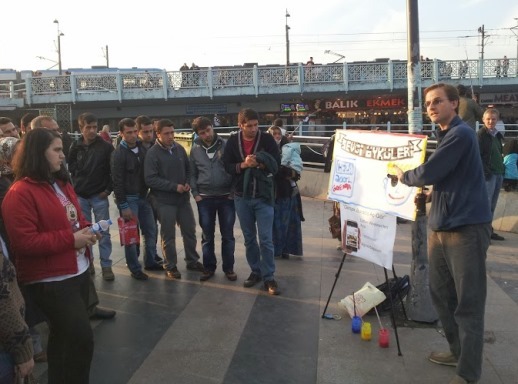 Authorities refuse to explain why Byle is on their blacklist, but Byle says it is because of his Christian evangelism in Istanbul, where he and teams from the BCC gather crowds on the streets with the use of a sketch-board. His lawyer has requested a written explanation from the authorities, who have stayed silent and advised that Byle apply for a visa from his home country. To that end, the US citizen flew to Chicago, leaving behind in their Istanbul home his wife, who is German, and their five children aged between eight and 14. And this is not the last the Turkish government will hear of Byle. The court case he opened this week against the Ministry of Interior (in an effort to remove the restriction on his file) adds to another case launched four years ago. In November 2009, when Byle was arrested after doing some open-air ‘street evangelism’ in Istanbul, Turkey’s Ministry of Interior accused him of “forceful missionary activity” and “disturbing the peace”. Byle won in 2011, but the Ministry appealed. The case is stuck in a bureaucratic backlog, but Byle’s lawyers expect Turkey’s high court, Danistay, to consider it in 2014. They say his case is important because it could set a precedent for other missionaries in Turkey. And if they do not win the case in Turkey, they plan to take it to the European Court of Human Rights. Byle said he and his team from the BCC, which he helped gain official recognition as an association, have been taking to the streets to talk about Christianity for nearly eight years. The association’s Turkish name is officially “Association for the Propagation of the Bible”. The BCC was approved by the Governate of Istanbul in 2009 and, as its title and mission statement, says its main purpose is to disseminate information about the Bible. Turkey’s Constitution states all people have the right to share their faith and it is a crime to stop someone from doing so. “Even if David and the BCC’s methods are a little aggressive, theirs is an important service to our country and the Turkish church,” said Umut Sahin, member of the legal committee of Turkey’s Protestant Churches. “David and the BCC are in no way guilty before the law. David is innocent and does not deserve to be thrown out of the country.” Sahin is a Turkish convert to Christianity from Islam; Turkey has approximately 5,000 Turkish Protestant converts. Member of the German Parliament, Frank Heinrich, has taken interest in Byle’s case and has written to the Turkish authorities on his behalf. Heinrich is also a member of the German Parliament’s Committee for Human Rights and Humanitarian Aid. Heinrich told World Watch Monitor he was well aware that Byle has been working in Turkey as a non-profit volunteer for over a decade. (Byle and his family gain their living from donations from supporters in the US and Canada and he does not earn anything from the BCC). 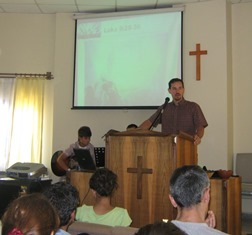 Jerry Mattix preaches to his congregation in Turkey, before he was forced to leave. In June another American Christian, Jerry Mattix, learned he was blacklisted when he was denied re-entry to Turkey. The Ministry of Interior instructed him to apply for an appropriate visa from an embassy or consulate outside Turkey. Mattix, who has since moved to Cyprus with his family, told World Watch Monitor that such efforts have been fruitless. Sahin estimates that in the last five years at least 10 foreign families have been denied visas and residence permits, or have been deported because of their missionary activities. He says the current government is becoming more intolerant towards missionaries. Sahin says foreign Christians who live in Turkey with the purpose of evangelism must take responsibility for themselves in their struggle for legality. Byle is one of few who have opened court cases to defend their legal status in Turkey. He says that authenticity and transparency in motivation are the keys to winning. Just three weeks before his departure from Turkey, Byle took to the streets of Istanbul with his team to set up his sketch board one last time before he left for the foreseeable future. He picked Eminonu, one of Istanbul’s bustling ports near the tourist district, and a mainly Muslim community.